A slightly different competition this month! Anna Mazzola's post on 29th July lists different kinds of crime souvenir that Victorians collected (mugs, figurines, pieces of the hangman's rope). Tweet or Facebook message her a picture of another piece of historical murderabilia to be in with a chance of winning a copy of The Unseeing. Labels: Anna Mazzola, July competition, The Unseeing, Victorian murder memorabilia. The largest stands at 10cm tall, the smallest at a mere 6cm; or, more importantly, stamped onto the handles are the volumes they hold: 1 deciliter, 1/2 deciliter and 2 centiliter. Any guesses as to what they were for? I bought these jugs in Italy while I was there researching The Night Falling a few years ago, from an old lady in the town of Gioia del Colle in the far south of the country. I had just been to look around a wonderful private museum called the Museo Della Civilta' Contadina - or Museum of Rural Life. This vast, private collection has been put together and is run by a man called Vito Santoiemma, and fills several huge warehouses in what used to be the family's sawmill in the town. It holds an astonishing array of objects related to every aspect of rural life in that part of Italy in the nineteenth and early twentieth centuries, and I got lost in it for hours. Inside the museum. The jars on the floor with the wooden lids are called prisor, and are what most families would have had as their only toilet. It had to be carried out and emptied daily, into a slops barrel which was then dragged out of town and used to fertilise the fields. Disease, unsurprisingly, was rife. At the end of my visit, I asked if there was any small thing I could buy to take back with me, and was told that an old lady (I never did get her name!) might have something to sell. These jugs appeared, and I was asked how much I was willing to pay for them - always a tricky question when you have absolutely no idea of an item's worth - both materially and to the person selling it! She seemed both delighted and bemused by my offer of Euro20, and so I had a piece of history to bring home with me. The smallest jug, with 2 centiliter stamped onto the handle. I've written before about the shocking living conditions experienced by the vast majority of people in Southern Italy in the first half of the twentieth century. A few wealthy, often absent, landlords owned all the land and all the housing, and the peasants - some 80% of the rest of the population - had no means to live but to pay for the rent on tiny, inadequate apartments by selling their labour in the fields for a daily rate. They were exhausted, hungry, angry, and powerless, and when they rose up in 1921 and 1922, in a broadly socialist movement, they were crushed again by the rise of fascism. The milkman's bicycle in Vito Santoiemma's museum, and other dairy-related items. My jugs date from the years immediately after this, after Mussolini came to power in 1922. These jugs were given out as part of a new system of rationing intended to alleviate the problem of the poor simply starving to death in years of drought and bad harvest - and also to conserve produce that was desperately scarce all over Italy after the First World War. It seems impossible to imagine Italy being short of olive oil, but that is what the jugs were for - the rationing of olive oil. How many calories does the 2 centiliter jug represent? I estimate maybe about 100. I don't know how many people that was supposed to feed, but I do know that this was a weekly ration, not a daily one. There is plenty of anecdotal evidence of women selling their bodies to corrupt officials for an increase in the ration for their family. So perhaps my piece of portable history is a bit dark in nature, and links directly back to dire times for one particular family. But there is always something so emotive and powerful about actually holding an object from a time that has now passed out of reach, and I kept the jugs on the shelf by my desk as I wrote my novel. Our July guest is Anna Mazzola. Anna lives in Camberwell, London, not far from where the murder at the heart of The Unseeing took place. The Unseeing is Anna's first novel. She is currently working on her second historical crime novel, which is about a collector of folk tales and fairy lore on the Isle of Skye in 1857 who realises that girls are going missing. Anna studied English at Pembroke College, Oxford, before becoming a criminal justice solicitor. She divides her time between writing, reading, lawyering, and child-wrangling. We often think of the Victorians as a moralistic and upright bunch, and of the 19th century as a time when things became more civilized. After all, over the course of the century, violent sports were mostly outlawed, the Bloody Code was dismantled, and capital punishment was hidden from public view. Yet it was also the era in which crime reporting and murder as entertainment flourished. 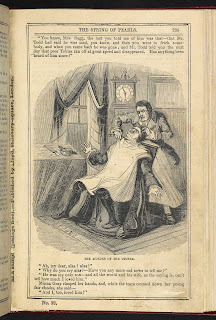 While researching for my début novel, The Unseeing, I discovered that our current fixation with true crime is nothing compared with what Dickens referred to as the Victorians’ ‘dark and dreadful interest’ in murderers and their punishment. Sales, however, were still fairly small. It was with the expansion of the press in the early 19th century (aided by increasing literacy and the lowering and later abolition of stamp duty) that things really kicked off. As Judith Flanders explains in ‘The Invention of Murder’, several early cases were key in establishing the whole industry of death. 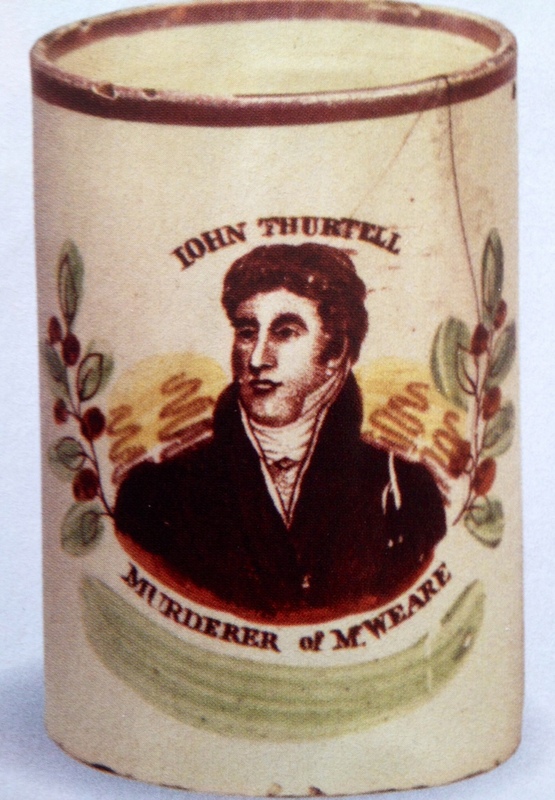 John Thurtell, who in 1823 bludgeoned William Weare to death, became the subject of the first ‘trial by newspaper’. 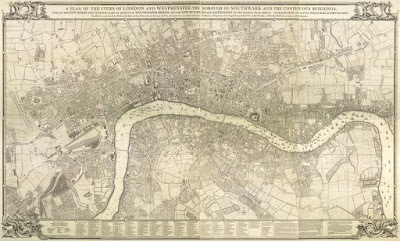 William Catnatch printed 500,000 copies of an account of the trial, the story was the lead item in the London Chronicle, Times, Morning Herald and Observer, two melodramas were written for London theatres (one before the case had even been tried), tourists arrived in droves for a tour of the murder scene, and balladeers made a killing selling songs based on the crime. 40,000 people turned out to see Thurtell executed, and the marketing of his story continued long after his death, as did his influence on the press. The same grisly pattern was followed in the later cases of Maria Marten and the Red Barn (where Marten was murdered by William Corder), Burke and Hare (who sold the corpses of their 16 victims to an Edinburgh doctor for his anatomy lectures), and the Edgware Road murder: the crime for which James Greenacre and Sarah Gale were convicted, and the case on which The Unseeing is based. Crime news was now prime news. 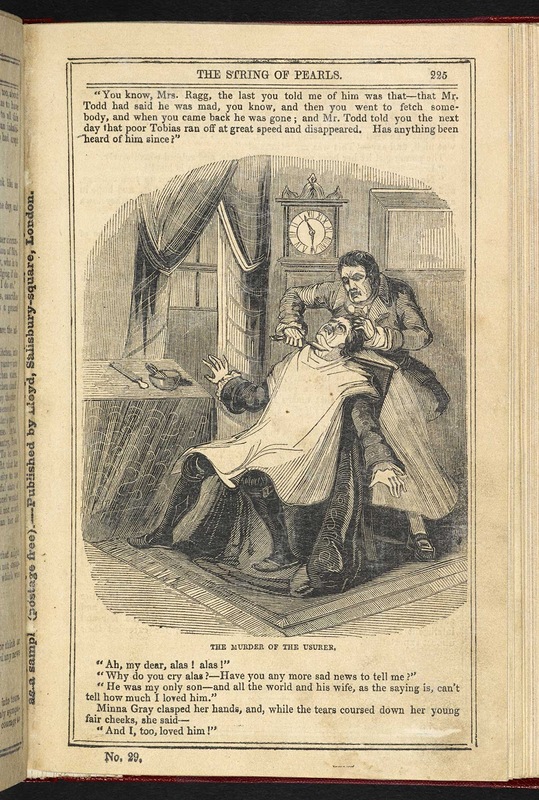 More affordable than newspapers were murder broadsides – printed sheets with an account of the crime, a woodcut illustration of the murder or execution, and often a lamentation. 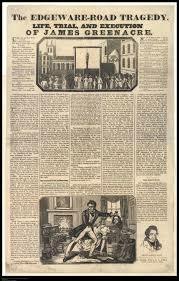 At the 1849 execution of Maria and Frederick Manning for the murder of her lover, 2.5 million broadsides were sold. However, sales for James Greenacre broadsides were slower. A street seller explained to Henry Mayhew that this was because Greenacre’s execution came close after Pegsworth’s (who had murdered a draper) and ‘that took the beauty off him. Two murderers together is no good to nobody'. Cheap weekly papers were also being established and there was a booming industry in ‘Penny Bloods’ that originally concentrated on highwaymen and evil aristocrats, but later on true crimes, especially murders. And if there were no decent real-life crimes to draw upon, the penny bloods invented them. The most successful of all was a penny blood entitled The String of Pearls, which began publication in 1846. We know it now as Sweeney Todd, The Demon Barber. As Rosalind Crone explains in ‘Violent Victorians’, a host of bloody entertainments and representations saturated Victorian culture from the 1820s to the 1870s, including deeply violent Punch and Judy shows, and murderous peepshows: people would peer through the viewing-hole of a small box to see a painted murder scene in which the characters were pulled up and down by strings. The story of Maria Marten became a touring staple. And then there was the greatest show of all: the gallows. Until 1868, felons were hanged outside Horsemonger Lane Gaol and outside the debtor’s door at Newgate prison, attracting enormous and excitable crowds of men, women and children. A huge number came to the hanging of James Greenacre, over a thousand waiting overnight outside Newgate to secure a place in the morning. Pie-men made their way through the throng selling Greenacre tarts while ballad-singers hawked the confession of the murderer: a fun day out for the whole family. If you couldn’t make it to the gallows, you could visit a moving waxworks display, many of which included relics of murderers or victims collected at the scenes of crime. Such shows ranged from the ‘respectable’ Madame Tussaud’s and her Separate Room (later the Chamber of Horrors) to itinerant waxworks displays, which travelled about between fairs. You might also be able to purchase a memento: a splinter of wood from the Red Barn where William Corder killed Maria Marten, or perhaps a piece of the hedge through which her body had been dragged. Staffordshire pottery figurines of murderers and their victims were also available. 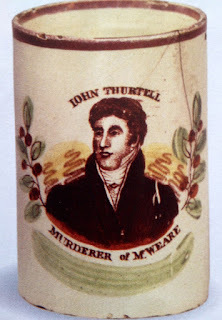 Murderer John Thurtell’s face was crafted onto the side of mugs; the Red Barn murder was immortalised in figurines of Marten, Corder and also quaint models of the barn itself. Also extremely popular were tours of the scene of the crime. After the murder of Hannah Brown, James Greenacre’s landlord gave guided tours of his house in Camberwell. These proved so popular that the police had to be brought in to stop visitors removing relics of the crime – tables, chairs, even the door. Anna Mazzola’s debut novel, The Unseeing, set in London in 1837, is now out from Tinder Press (Headline). 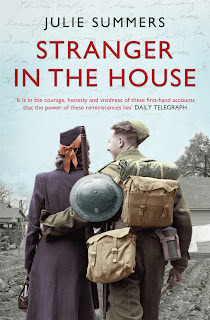 I am working on a glorious project about the secret life of houses during the Second World War. It is a fascinating topic and there are some glorious details emerging. However, I do have to remind myself that the war was terrible, destructive, murderous. So today I thought I would concentrate on a question I have spent a great deal of time working on: the true cost of war. I do not mean in the sense of how much it cost the British government to prosecute the Second World War – that figure is recorded as somewhere in the region of £10,000,000 a day. No, I’m interested in the cost of the war in human terms. Not numbers of killed or wounded but the impact it had on their families. 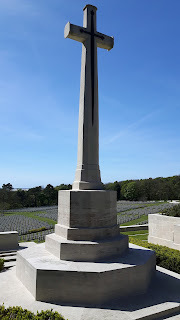 Last month I visited Etaples Military Cemetery and was reminded that 10,816 men and women are buried there. It was the cemetery for nearly 20 First World War hospitals. Each of those buried would have had parents and possibly siblings. Some would have been married with children, so the number of people mourning the dead buried at Etaples would be in the tens of thousands. Next year the Commonwealth War Graves Commission will be 100 years old. This remarkable organisation commemorates over 1.7 million men and women of the Commonwealth forces who died in the two world wars. It was set up in May 1917 in response to the outpouring of grief over the slaughter on the battlefields of France, Belgium and further afield on Gallipoli and in Palestine and Greece. Bodies could not be repatriated. That only started in the late 1960s, so men had to be buried where they fell and the Commission’s job over the next decades was oversee the construction of cemeteries and memorials. It now has a presence in 154 countries worldwide. It is through their remarkable determination to remember the war dead and to commemorate them in perpetuity, that has shaped our remembrance services of today. But for the men and women whose sons, daughters, lovers, husbands, brothers, uncles were sucked up into the Forces in 1939 commemoration was the last thing anybody wanted to be thinking about. Every hope was for the safe return of a loved family member or friend. One of the cruellest notifications a family could receive, short of killed, was Missing in Action. In Jambusters I told the story of diarist Clara Milburn whose son, Alan, was posted as ‘missing’ after Dunkirk. Her diary entries over the summer of 1940 make haunting reading. In June she wrote: ‘How curious this life is. A sort of deep stillness comes over everything from time to time. There is not much traffic on the roads during the week and the village seems empty in the evenings. One misses the young life everywhere, particularly Alan coming in in the early evening.’ A month later there was still no news of her son: ‘Always one is thinking of him, wondering whether he still lives and if so, whether he is well, where he is, what he does all day, what discomforts he is suffering. If… if... And so the days go by.’ At the end of July she heard that he was a prisoner of war and hugged her husband ‘for sheer joy at the good news’. It was not until October that she received a letter from him, a full nine months after she had last spoken to him over the phone. Alan Milburn returned safely but a very changed man. 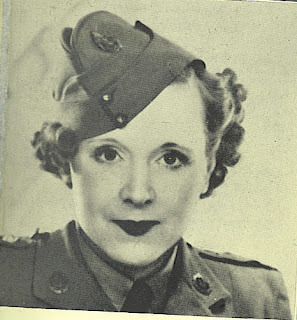 For Barbara Cartland the news from France was the same as for Clara Milburn. Both her brothers, Ronald and Tony, were fighting with the British Expeditionary Force. Ronald wrote to his mother just before he went into action: ‘This is just to send you my love and bless you always. Don’t be anxious if there is a long silence from me – the fog of war is pretty impenetrable. We shall win in the end, but there’s horror and tribulation ahead of all of us. We can’t avoid it. What a waste it all is, but after months of desolation we shall gain and retain what you and I have always understood the meaning of – freedom.’ Barbara’s mother, Polly, had lost her husband in 1918 and knew full well the horror of the telegram. It came twice over that hot, dry summer of 1940. Both her sons were ‘missing’. In January 1941 came the terrible news that Ronald had been killed in action on 30 May 1940, hit in the head by a German bullet. Barbara wrote: ‘We had gradually been losing hope of hearing that he was alive – now we knew the truth. My mother was wonderful. “Missing” is the cruellest uncertainty of all, as she well knew, for my father had been missing in 1918; and that ghastly waiting, watching, hoping and praying was hers all over again – not twice, but three times, for Tony was still “missing”.’ Tony Cartland had been killed the day before his brother, hit by a shell. For Polly and Barbara Cartland there was no happy ending to their story. Ronald Cartland described ‘the fog of war’ meaning there was confusion and chaos as indeed there was. And the pressure on families was immense. My grandfather was taken prisoner on Singapore on 15 February 1942 and the first official notice my grandmother received that her husband was alive but a POW was on Christmas Eve of that year, almost 11 months after he had been captured. For her the fog of war was exceptionally thick. Twenty seven per cent of the prisoners of the Japanese died in the camps all over South East Asia. My grandfather came home ‘safely’ in November 1945. He was a changed man as were others who came back from that oft forgotten theatre of war. The families of these men were still counting the cost of war decades later as the emotional fall-out left scars on minds, hearts and bodies. A sombre thought but one worth thinking I feel. Queen Victoria was brought up reading the novels of Walter Scott and after her first trip to Scotland in 1842, she became besotted with this part of her kingdom, promoting Highland cattle, tartans and bagpipes. On show at the Queen's Gallery, Buckingham Palace, is a selection of Scottish paintings from the royal collection. I skidded past the misty landscapes that could have been in my great aunt's spare room. The paintings that caught my eye were those dominated by clothes. 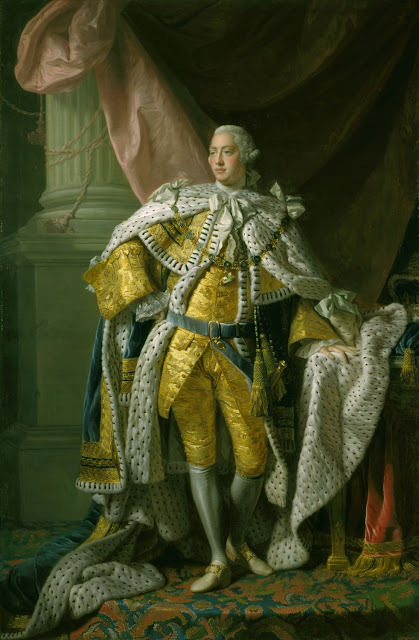 The full length portrait of George III (1738-1820) by Alan Ramsay (1713-1784) is a superb example of textile and texture. You can see, and almost feel, the gold brocade jacket and breeches, shiny shoes and smooth white silk stockings of the king's coronation costume. You want to stroke the soft ermine lining the voluminous cloak draped around his shoulders. 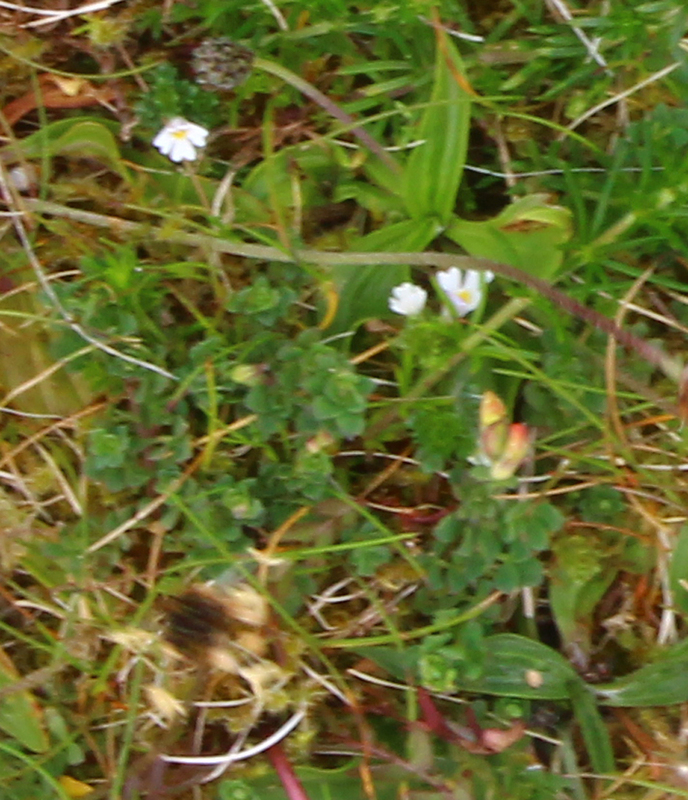 (How many hundreds of winter stoats (mustela erminea) died to make it?) The 23 year-old king is standing, tall and imposing, on a fabulous Persian carpet, beside soft velvet curtains with golden tassels. His legs appear rather long for his small head, but the point of the portrait was to impress with the sumptuousness of his clothes and textiles. Ramsay made 150 copies of this painting at 80 guineas each (about £150,000 in today's money) for sovereigns, ambassadors and courtiers. He was the first Scot to be made 'King's Painter' and given the title 'Principal Painter in Ordinary'. 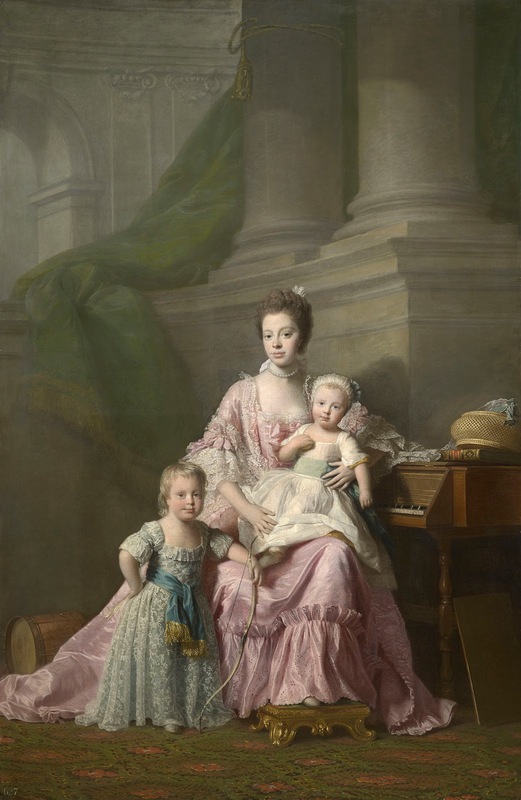 Hanging next to him is George's wife, Queen Charlotte (1744-1818) with her two oldest sons. She is depicted as the young, adoring mother of Prince Frederick, later Duke of York, who is sitting on her lap, and Prince George, later George IV, standing at her side. The Duke of York wears a delicious cream silk frock and lace cap. Boys wore 'coats' then until they were 'breeched' at five years old. (Even my uncle, born in 1909, wore frocks until he was five.) Prince George, then about two and half years old, may be in pale blue lace with frills and a satin sash, but he holds a bow to show how manly and fearsome he will become as a king. When she was just seventeen, Charlotte of Mecklenburg-Strelitz was chosen as a suitable wife for the king. It took two weeks to travel from her home in Germany to London, and they were married just six hours after their first meeting. Over the next 20 years she had 15 children. But of the 13 who survived to adulthood, only three produced offspring. Their descendants include all the current European royalty, and, illegitimately, the recent British Prime Minister David Cameron. Charlotte founded orphanages, and was patron of 'Queen Charlotte's Lying-in- Hospital' the first ever maternity hospital. 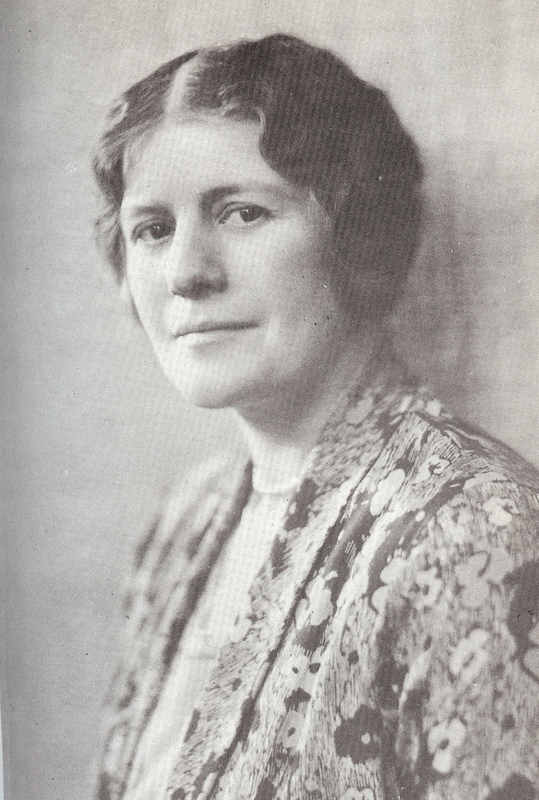 She supported the education of women, including her seven daughters. Ramsay’s talent is shown in the elegance, subtlety and exquisite colouring of this painting, in which he combines the grandeur of a royal portrait with the intimacy of a domestic scene. 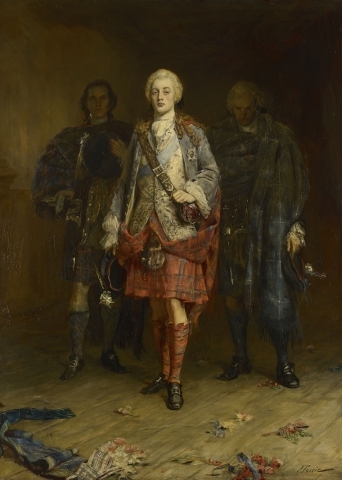 In the gallery next door, the full length portrait of Bonnie Prince Charlie Entering the Ballroom at Holyroodhouse, made me yelp with delight. The painting was executed by John Pettie (1834-93) over a hundred years after the prince's death it was exhibited at London's Royal Academy in 1892. It depicts a moment in 1745 just before Prince Charles (1720-88) marched south unsuccessfully to claim the English throne. The prince emerges from the shadows into the bright light of the ballroom, with silk ribbons and flowers scattered at his feet. In fact the ball at at the Palace of Holyroodhouse, Edinburgh, was invented by Sir Walter Scott in his novel Waverley. My yelp was caused not by his elegant legs clothed in striped socks, nor by the exquisite silk waistcoat which reminded me of the mayor's waistcoat in Beatrix Potter's The Tailor of Gloucester. Mayor of Gloucester's waistcoat, embroidered by mice. It was his kilt that startled me. My family once had a connection with this kilt. In 1880 my great grandmother, Janie Bruce, died aged 42, leaving 11 children. 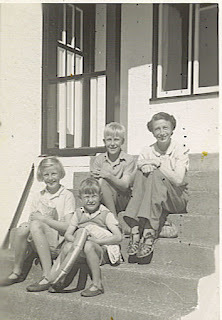 The six youngest children, including my grandfather Rosslyn, were sent to live in Edinburgh with their great uncle, a bachelor aged 71, called William Forbes Skene. William's father, James Skene, had been Walter Scott's best friend, and William was the first person to write a history of Scotland from the Scots point of view: The Highlanders of Scotland, their Origin, History and Antiquities (1837). Shortly after the arrival of his great nieces and nephews, he was made the Historiographer Royal of Scotland. One day the children were bored and labelled the drawers of an old chest with the names of their dolls. 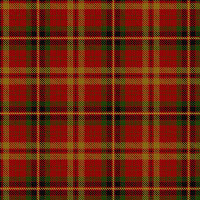 Inside was some old tartan cloth, out of which they made tiny kilts for their dolls, one of whom was a sailor-doll called Gerald. 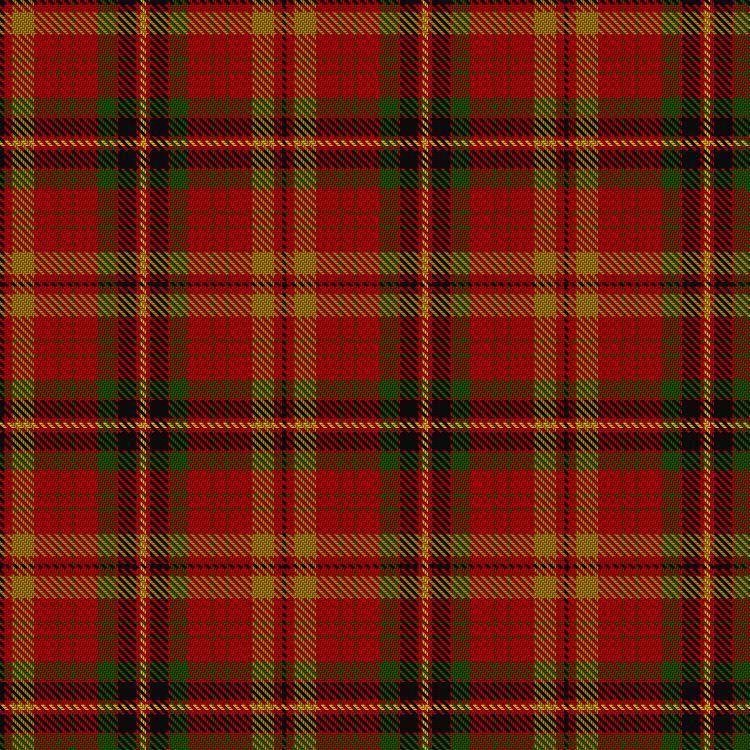 The chest had belonged to Bonnie Prince Charlie, and the old cloth was his kilt. John Pettie and William Skene lived in Edinburgh at the same time and probably knew each other. Did Pettie ever see the real kilt, either before or after its re-cycling? The paintings in this exhibition were collected between 1750 and 1900 and reflect the distinctive tastes of Georges III, IV and V, and Queen Victoria. All the artists were born in Scotland and the romantic episodes they painted contributed to strengthening Scottish identity. The Queen's Gallery, Buckingham Palace, London. 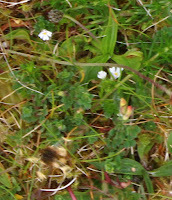 I have just returned from a memorable trip to Ireland - my semi-adopted homeland because I was actually born in London. My recently-departed mother and all her family were born and bred in County Laios, set in the Midlands of Ireland. The farm her parents spent their hardworking lives running is still in the family and belongs now to two of my cousins. They were a struggling, hardworking Catholic family. Until 1922, when the Irish Free State came into existence and British rule over Ireland was drawing to its bitter close, Laois was known as Queen's County (a nod to British monarchy). My mother used to recount to me many stories of local Protestants helping the Catholics and vice-versa (lending one another tractors, or a gallon or two of petrol when rationing during the WWII badly hit their agricultural way of life even though Ireland had chosen a neutral position). She told me that the families of the two faiths lived alongside one another in peace. Of course, this wasn't always the case. Like most counties in Ireland, Laois has its fair share of grand Georgian or Regency properties built by the Protestant British when they were the landlords of the island while the tenants or farm workers were the less privileged Catholics. 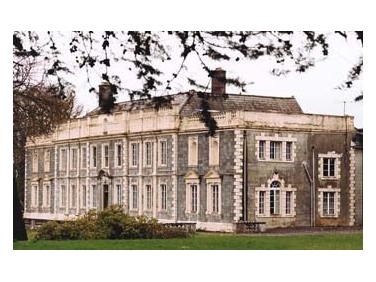 Ballyfin, considered the most lavish Regency house in Ireland, is an example. It was built in the 1820s on the site of previous luxury manor houses, by Sir Charles Coote and his wife Carolyn. It stayed in the Coote family until the 1920s when it was bought by the Patrician Brothers, a Roman Catholic teaching order. At this stage, Ireland was taking back its independence from the British and the brothers ran Ballyfin as a school right through to the twentieth-first century. In 2002, a decline in vocations, less brothers to run the school, forced them to sell the estate on. Today, after nine years of restoration by its present owners, a couple from Chicago with Irish connections, it has been transformed into a sumptuous five-star hotel, Ballyfin Demesne, set in some 600 acres of manicured gardens. If your budget can run to even a cup of tea there - room rates start from around 850 euros a night - it is worth visiting just to get a sense of its splendour and to imbibe the stories and ghosts from its past. If I were to covet any of it with Big House envy, it would be its magnificent conservatory. The history of Laois reaches back at least 8,000 years, to pre-Neolithic times when tribes of hunters roamed the forests in search of nuts and berries to supplement their diets. There are several sites and monuments that bear witness to the history of this region from Neolithic times to modern days, and it is claimed that Christianity came to Laois even before Saint Patrick arrived there. I spent two or three days in the neighbourhood paying tribute to my mother, leaving a lock of her hair at my grandparents' grave to reunite her with her family and the place of her birth. 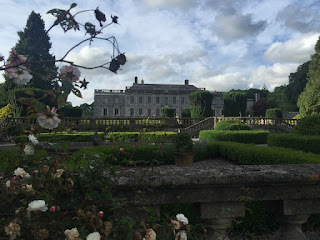 We stayed in Offaly at Gloster House, a Georgian mansion built for the Lloyd family in the 1720s. This house, with a 1960s convent stuck onto its rear, was sold to its present owners, Tom and Mary Alexander in 2001. It was a purchase of love, no doubt about it. The nuns who had run the place as a rest home for rich elderly women and a school in the convent addition at the back had, through lack of funds, allowed the property to fall into a very sorry state of disrepair. I know this first hand because my mother and I took the gate lodge in 2005 as a rental and over the years we became friends with the present owners. We have witnessed the painstaking renovations undertaken. Today, Gloster is both a stunning private residence and can be booked for wedding and birthday events. If you are looking for a location for a very special occasion, I cannot recommend Gloster highly enough. Here is a piece I wrote for my website earlier this year. From Laois and Offaly, we turned southwest to the coast, to Bantry Bay, a picturesque stop along the Wild Atlantic Way. As I write, this year's West Cork Literary Festival is drawing to its close. I was the first event of the 2016 festival. It was held in the library of magnificent Bantry House overlooking Bantry Bay in West Cork, and I am thrilled to say it was a sold-out event. On Tuesday morning I did a smaller event in the tea rooms at Bantry House. Bantry is also a country house I know quite well. My first stay there was, again with my mother, for my first visit to the West Cork Lit Fest. It rained - 'lashed', as we say in Ireland - from the moment we drove into the fishing town till our departure. Again, my event was at the great house. On that occasion we were also staying in the elegant annexe area the Shelswell-White family use for bed and breakfasts. Mrs Brigitte Shelswell-White was so welcoming, lending us two of her Burberry raincoats (bought in charity shops, she assured us) and wellies, showing us into the private areas of the house, that I have been marked by this place, that visit ever since. Egerton-Shelswell-White, Brigitte's late husband, a much-loved patron of the arts in West Cork, was the eight generation of his family to reside at Bantry. Since his death in 2013, one of his children, of which there are six, Sophie, has taken over the responsibility of management of the estate. No mean feat. The family continues to host events for both the West Cork Chamber Music Festival and the West Cork Literary festival. Eimear O'Herlihy, Festival Director, (standing) introducing me. To my left (right as you look at the pic) is Elizabeth Rose Murray who hosted my first event. Elizabeth is also a writer and was appearing at the festival later in the week for her own events. I’ve just become the grandmother of Adam, Felix and Laurence. Twins run in our family but these are the first triplets. It’s still rare - only two hundred a year are born in the UK - and in ancient times it must have seemed miraculous. In Greek mythology the three Oneroi, often represented as triplets, were immortals born by parthenogenisis (so much less bother). These three dark winged spirits (daimones) flew out each night like bats from their cave in Erebos, the land of eternal darkness beyond the rising sun. A nightmare was melas oneiros (black dream). As with all myths there are many versions but in most stories Morpheus was their leader, who appeared in the dreams of kings in the guise of a man bearing messages from the gods. Icelos, or Phobetor, was the god of nightmares, generally about animals or monsters, and Phantasos, who appeared in dreams as a woman, was the god of fantastical or prophetic dreams. According to Roman legend, the Horatii, seen here in a painting by David, were triplets who defended Rome against Alba Longa , a rival city in the Alban hills. The two cities decided to settle their dispute with a duel : the Horatii triplets fought against the triplets from Alba Longa, the Curiatii. After two of the Horatii were killed the third brother, Publius Horatius, pretended to flee. When the Curiatii pursued him Horatius turned and attacked them, killing all three. perish any Roman woman who mourns the enemy." Horatius was sentenced to die for murdering his sister but successfully appealed to the people to spare his life. Some classicists believe that this story was invented to explain the origin of the Roman tradition by which condemned prisoners could appeal to the public to avoid a death sentence. The Yoruba people in Nigeria have the highest rate of twins in the world (three sets of twins in every nineteen births). They attribute this to their consumption of a particular type of yam. In Yoruba religion it is thought that, about two generations after death, every human soul has a chance to return to earth in the body of a newborn, usually within the same family. Twins and triplets have always been considered magical and, in ancient times, the Yoruba used to reject and even sacrifice them but nowadays their birth is celebrated by the whole community and they are brought up less strictly than other children. These triplets are wearing traditional Yoruba clothes. In the Yoruba Oyo kingdom there was a tradition that when a couple had triplets, the Oba, or ruler of the town, had to give the newborn babies everything he was adorned with when he was told of their birth. According to the Nigerian Tribune Newspaper Company, in June 2009 the wife of the Alaafin of Oyo, Oba Lamidi Olayiwola Adeyemi III, gave birth to triplets. Her husband gave her a new car and twelve cows, ten bags of yam flour, twenty-five bags of rice, chickens and fish were lavished on the triplets’ christening feast. There’s a very successful Spanish series of children’s books, later adapted as TV cartoons, called The Triplets (Les tres bessones), by Roser Capdevila, whose own triplets were born in 1969. Whenever the three sisters annoy the Bored Witch, the fat 700-year-old witch who is their babysitter, she punishes them by sending them off to have adventures in various famous stories, including Frankenstein and The Phantom of the Opera, but always returns them safely to their own world. Actually the title is a misnomer. 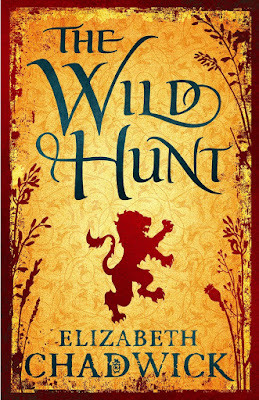 THE WILD HUNT wasn't my first novel at all, it was my eighth. However it was my first published novel. The other seven unpublished test pieces, written over the course of fifteen years are still in ring binders in my cupboard and without a serious overhaul that's where they are staying! I discovered novel writing when I was fifteen years old. I had told myself stories verbally from first having language - my first memory is of making up a tale about fairies printed on a cotton handkerchief when I had just turned three. I never wrote any of my stories down, although I spent many happy hours kneeling in front of illustrations from books and magazines making up tales about the people, animals and objects within those visuals. I would enter the pictures and use my imagination to invent all kinds of new adventures and scenarios over their horizons. Sometimes I'd tell the same story but change direction - bring in a new character, alter the weather, meander along different footpaths until I discovered other roads. Basically I was teaching myself the art of story telling and exploring its constructs just by doing it. 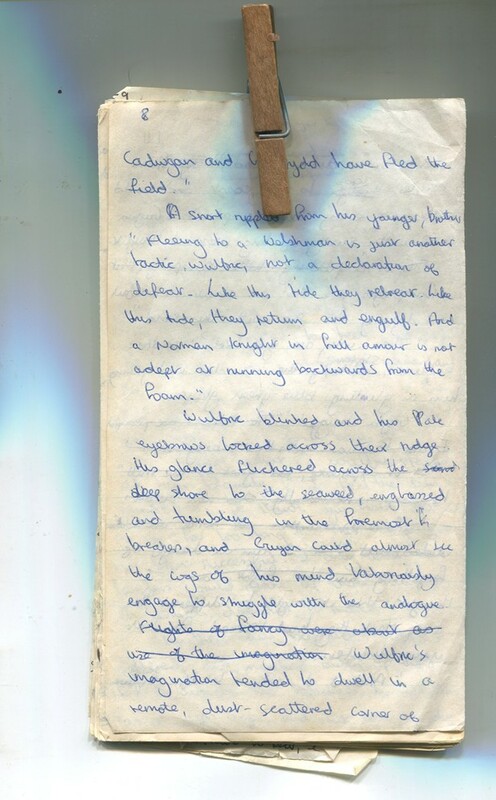 I finally got around to writing down my verbal tales when I was fifteen, and fell in love with a handsome dark-haired man on a historical children's TV programme titled Desert Crusader. It was a drama put on by the BBC and dubbed from the French original Thibaud Ou les Croisades. You can buy the DVD's in the original French from Amazon France. I was inspired to begin writing my own historical romantic swashbuckler set in the Holy Land. When it started out it was fan fiction but it rapidly developed a life of its own. I called it 'Tiger's Eye after the stones in the hero's sword hilt (not sure that such a thing is authentic these days, but it felt right at the time). I wanted my story to feel as real as possible to me, so it was off to the library to swot up on my subject. I admit to doing this with a lot more diligence than I applied to my school homework, but that's the different having a passion makes! The more I researched the medieval period the more interested and fascinated I became and the more I wanted to write about it. Researching was a revelation to the teenage me. All that guff about enormous swords I'd seen on TV and read in novels? Absolute rot. Ewart Oakeshott's works on the medieval sword informed me that a 12th century sword weighed no more than 4lbs and was supremely balanced and suited to its function. An accomplished man could wield it with the skill of say a professional tennis play wielding a Tennis racket at Wimbledon. Here was information not in the mainstream and the 'real thing.' The more I read, the more I wanted to know and the more I immersed myself in the period, its culture and personalities. 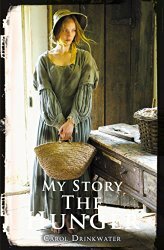 I also realised that I wanted to write historical fiction for a living. Full stop, no ifs or buts. I asked for a typewriter for my 18th birthday present (no computers then) and I went to nightschool to learn to touch type. Back in the 1970's creative writing degrees did not exist. I was even put off going to university to do history or English by the head of year who told me I wouldn't get the necessary grades and there was too much competition in my chosen subject. As it happened I did get the grades but by then my course was set elsewhere and I entered the job market as a management trainee for Debenhams Department Stores. It wasn't what I really wanted to do and really just a means to an end in that it paid a wage - although from that time I do have a higher qualification in distributive and managerial principles! Eventually I married, gave up the career job and went to work at Asda filling shelves part time so that I could have the rest of the day to write. That's how much it meant. I didn't care that I was doing a dead end job just for the money, because my sights were set elsewhere. to the Hobbits in Lord of the Rings: 'Don't be too hasty.'! Sometimes there's a good reason! This was the pattern of my twenties. I took time out to have children and went back to work on the night shift filling shelves, and in my spare moments I wrote - on an Amstrad Green Screen by now. Fortunately I have always had the ability to multi task and switch the writing on and off like a tap. I'd sit at the kitchen table, watching the dinner cook, keeping an eye on the children playing, and I'd write. My husband would come in, we'd eat, and then I'd be off to fill shelves while he took over the child care. Throughout that decade of my life, I continued to hone my craft. Novels were sent off to agents and publishers and came back with rejection slips but it never bothered me because it was part of who I was. Even if I was never published, I wasn't going to give up because it was too much fun. However, gradually I started to win prizes. I won £15.00 in a local competition. I was honourably mentioned in a national magazine short story contest, and then I won another £150 in another county-wide competition. These were markers along the way that showed me I was improving. And then came THE WILD HUNT. I began writing this when I was on a B&B break in 1988 with my husband and two sons aged five and two. 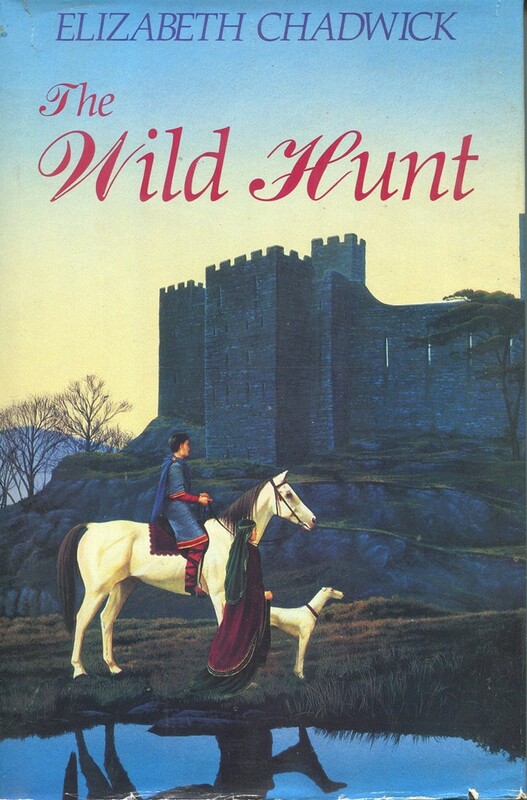 THE WILD HUNT was a romantic/adventure/historical set on the Welsh borders at the close of the 11th century. My imaginary hero and and heroine were pushed into a political marriage, neither of them very keen at the outset, and it's the tale of how they came to a much better understanding while at the same time having to deal with personal rivalries, warfare and political skulduggery. 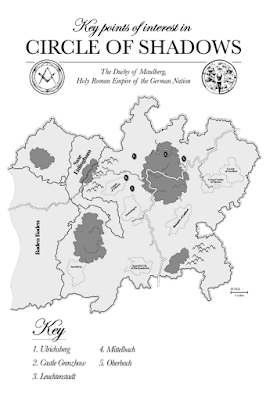 I chose to set the novel on the Welsh borders because of its frontier nature and fluid alliances, and I gave my hero Norman, Welsh and English ancestry just to add a bit more nuance and difficulty to his problems. It took around a year to write, and then it was ready to go off to an agent. I wrote in longhand on our holiday break and that first chapter ended up being discarded. It wasn't the right place to start, but it had to be written for me to know it was wrong and it did tell me a lot about my hero that I wouldn't otherwise have known and enabled me to really get going when we arrived home. In the normal way of things I would have discarded the rough work, but I put it down somewhere, lost it, then rediscovered it several years later, rather tatty and clipped together with a clothes peg. 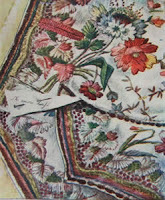 It has since, like my 7 test pieces, become an 'heirloom'! Back to the main story: I trawled the Writers and Artists Yearbook and the Writers' Handbook and plumped for the Blake Friedmann literary Film and TV Agency. Their brief told me that they dealt with commercial fiction and that they belonged to the Association of Author's Agents - members of whom agreed to abide by certain codes of conduct. I sent off a letter, a synopsis and the first three chapters of the novel and then settled down to wait because I'd read up enough to know that it could take a couple of months for a reply. About six weeks later a brown envelope landed on the doormat and I thought, as per usual, it was the return of my manuscript sample. But when I picked it up, it felt far too light. 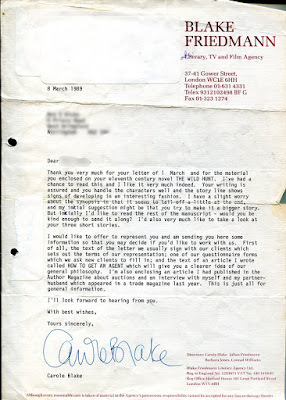 On opening it, I discovered a letter from agent Carole Blake saying that she had loved what she had read, she would love to represent me and could I send the rest of the manuscript. Also enclosed was some information about the agency and an acceptance form - should I wish to sign it. SHOULD I? Once I'd recovered from the euphoria and shock, I went scrabbling for a pen to sign on the dotted line, and sped off to parcel up the rest of the novel. 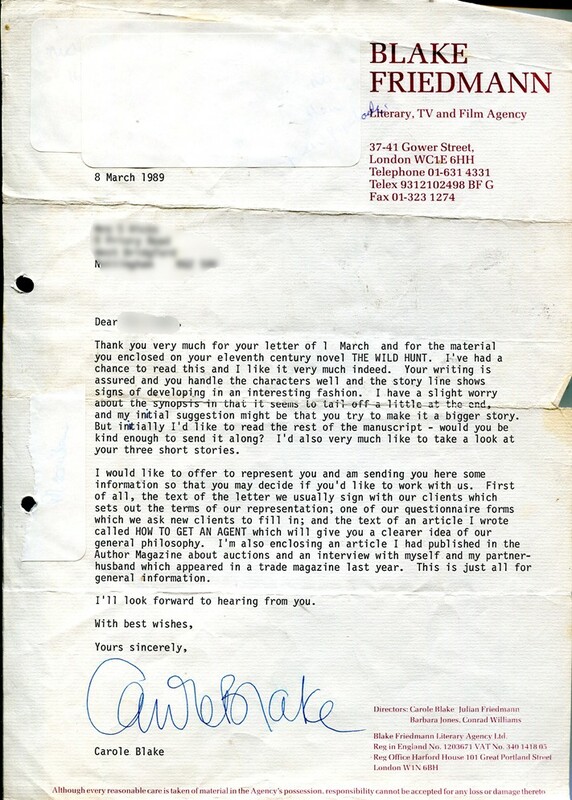 The letter Carole Blake sent to me in March 1989 offering to represent me. 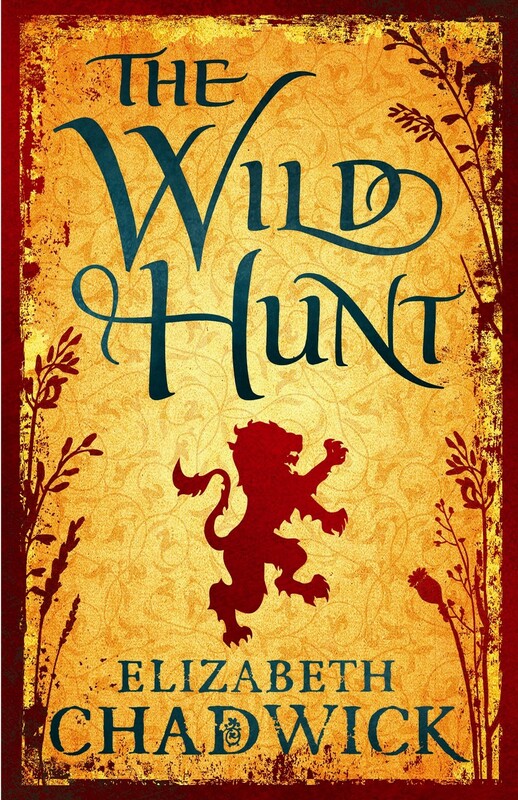 Three months later, Carole rang me ( again I was on holiday) to tell me that four publishers were in a bidding war for THE WILD HUNT and it just remained to be seen who won out with the best package. I arrived home to the news that Michael Joseph, part of the Penguin group were going to publish me in hardcover and that Sphere would publish the paperback. They'd offered me a two book contract and a deal that meant I could put down my pricing gun and hand in my notice at the Co-op. Seventeen years after writing my first book and deciding that this was what I wanted to do for a living, I was finally on my way and my 8th novel was about to become my first published one. 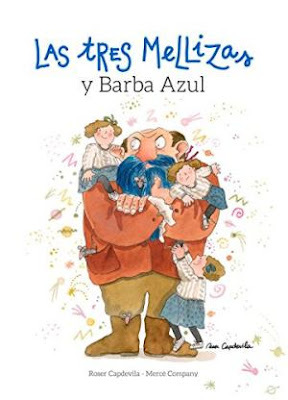 While my new agent was busy selling THE WILD HUNT into various different languages, news came through that the novel had won a Betty Trask Award. These awards, administered by the Society of Authors are for young authors under the age of 35 for a first novel of a romantic or traditional nature. The reception to present the awards that year was to be held in the banqueting suite at Whitehall and the prizes were to be presented by HRH the Prince of Wales. It was a somewhat surreal experience to go from filling supermarket shelves with tins of petfood to being presented with a cheque for several thousand pounds by the heir to the throne! 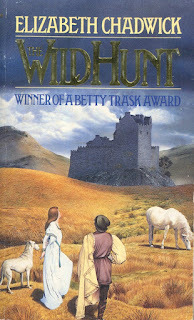 The UK first edition hardcover. Michael Joseph. I won't say I have never looked back since then because every career has its ups and down. 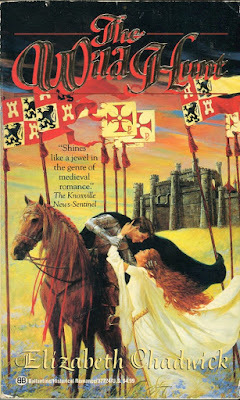 In the mid 1990's historical fiction hit the doldrums and for a short time THE WILD HUNT and its associated novels went out of print, However, in the early 2000's, a massive upsurge in the popularity of historical fiction led by the charge of Philippa Gregory's THE OTHER BOLEYN GIRL, led to renewed interest in my early work and my then editor decided that THE WILD HUNT must be reissued. I was delighted of course, but insisted that I be allowed to re-edit it with a fresh eye first. I had many more 'flying hours' under my belt by now and I have always been of the opinion that if one gets the chance to overhaul one's work, then one should. It's a brilliant opportunity. 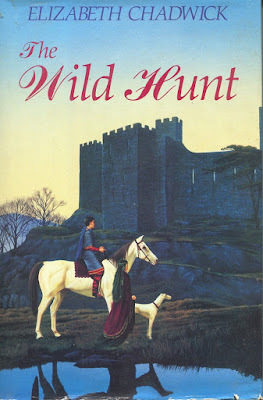 THE WILD HUNT has just turned 26 years old, although it seems only yesterday I was writing it while keeping an eye on the dinner and two small children! It's still in print and still selling steadily. Together with THE RUNNING VIXEN and THE LEOPARD UNLEASHED, its two companions novels, it's about to celebrate a terrific cover refresh. A friend looked at the re-jackets and said 'They're gorgeous. Just like fireworks!' I agree and I do adore the colours. 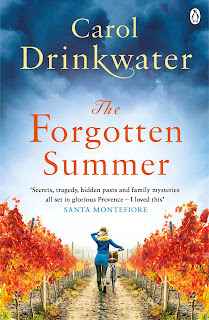 So, I am raising a toast to my first published novel, and extending a huge thank you to the readers who have brought, read and loved my work down the years - keeping me in a job along the way! 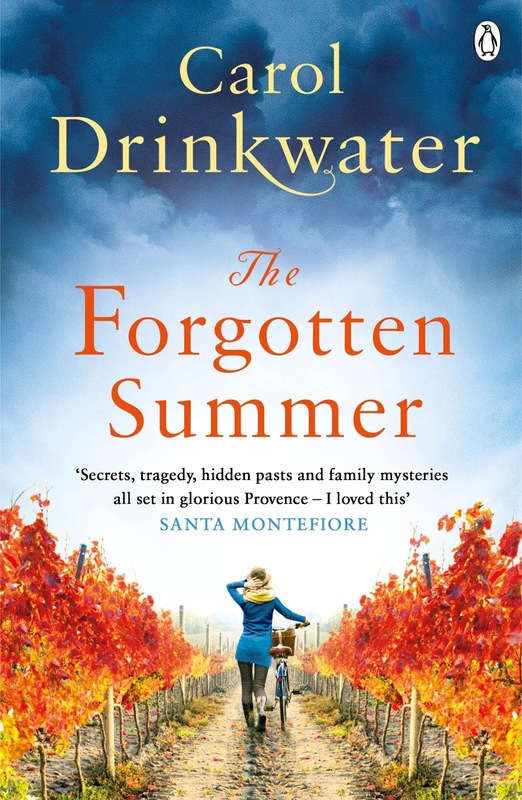 I'm also raising a glass to any new readers and hope you enjoy! 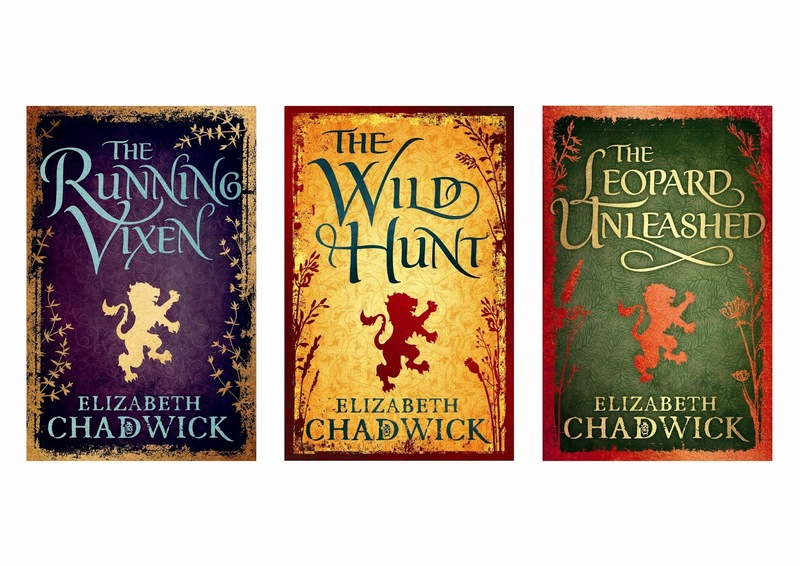 wonderful new covers on the 26th of August 2016. If you think about women in medicine in the past, the chances are you'd think first of all of midwives, and yet, four hundred years or so ago, women were playing an active role in medical care. The philosopher Hobbes said he much preferred 'an experienced old woman' to the 'most learned and inexperienced physician.' 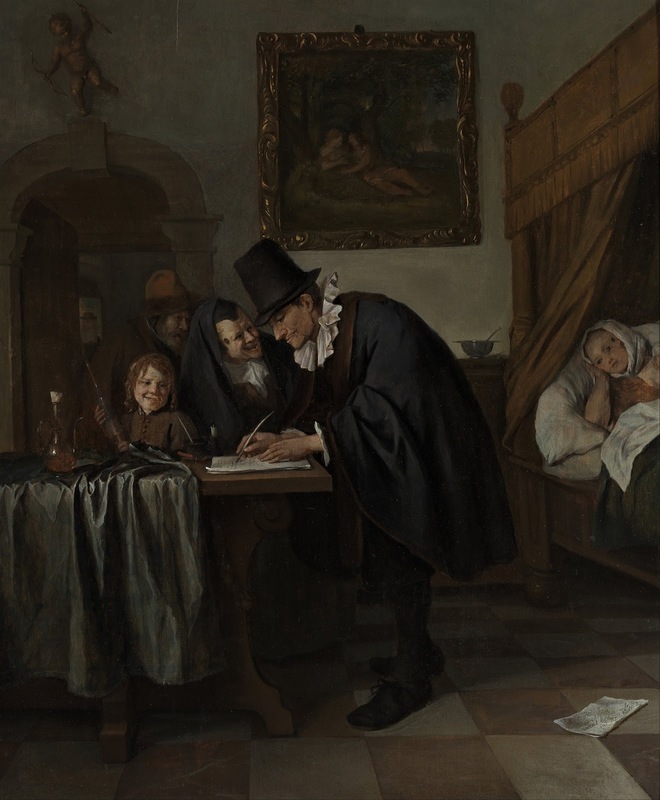 Nowadays, people speak perjoratively of 'old wives' tales,' and yet medical research often confirms views that doctors used to dismiss (like getting a cold if your feet get wet). Far from being amateurs, the women had access to medicines handed down from generation to generation, with proven efficacy. Sir Ralph Verney, writing to his wife in 1647, advised her to give her child 'n phisick but such as midwives and old women, with the doctors approbation, doe prescribe; for assure yourselfe they by experience know better than any phisition how to treat such infants.' Women cured lame legs, brought down swollen arms, worked as oculists. Some of these were paid, but others, notably aristocratic ladies, did the work for no pay. One of these was Madam Springett, the mother-in-law, from her first marriage, of the early Quaker Mary Pennington, and I can't do better than to quote from what her daughter-in-law wrote about her in later life. 'She kept several poor women employed in summer, simpling (gathering herbs) for her; and in winter procuring for her such things as she wanted in surgery, physic, and sore eyes. She had excellent judgment in all these, and admirable success; which made her famous, and sought unto out of several counties, by persons of the first rank, as well as those of other classes. She daily employed her servants in making oils, salves, balsams, drawing of spirits, distilling of waters, making syrups and conserves, lozenges and pills. People came hundreds of miles to consult Madam Springett, and stayed in the area while she dealt with their case, sometimes for months. She could have twenty patients to see in a morning. Being a lady of substance, she never took a penny for these services, though she did make wealthy patients buy the ingredients for the medicines. 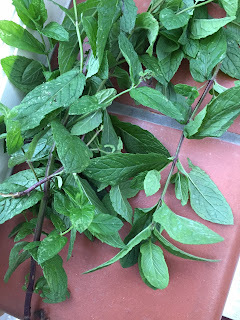 What is clear from the above account is that Madam Springett relied on the expert knowledge of her female herb-gatherers, and also must have trained the servants who made up the medicines. I wonder if some of them subsequently set up as healers on their own account? I would also love to have the details of her cures for cataracts. Doubtless some of the illnesses went away of their own accord, and the placebo factor may also have been involved. But dermatological conditions, for example, are notably tricky to treat. 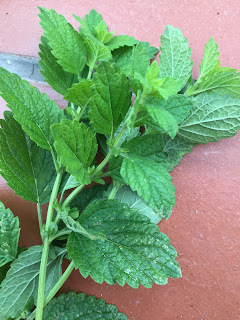 I have found myself, through trial and error, that witch hazel is better for the inflammation I get from some mosquito bites than any steroid creams or anti-histamines, and many herbal 'house remedies' remain unattested simply because the big pharma companies aren't interested in testing or developing them. In those days, you had the choice between a woman who had spent years observing illness and the effects of various herbal substances on them, or a doctor who had trained in what was largely a theoretical discipline, based on 'humours', and eager to let pints of blood from already weakened patients, literally bleeding some of them to death. The women healers were arguably the more scientific of the two. 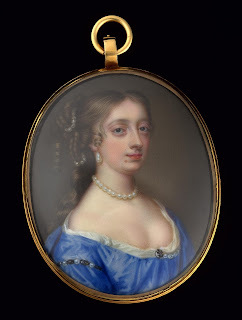 Women (particularly aristocratic women) also functioned as bone-setters, so when one of the villagers in my novel 'Malefice' broke his leg, Alice Slade, the local 'cunning woman' was called in to set it, because the lady of the manor was in childbed. However, even in Henry VIII's reign, legislation was being passed to restrict women's work in this respect. As with midwifery, the male doctors formed professional associations and excluded women, though of course household and herbal remedies continued to be practised, but this was more and more confined to the women's own families and friends. In addition, as the eighteenth century progressed, more and more villages were removed from proximity from the great houses. Blenheim and Nuneham Courtney spring to mind. The lady of the manor must have been similarly cut off. She might still sally out to visit the poor, but only to dole out broths and advice. In Capability Brown's centenary year, it's worth considering how his landscape gardening quarantined the gentry from their 'inferiors.' If you want to see how it used to be, before Brown, Kent et al started holding their noses at the whiff of a cottage, go to Chastleton House in Oxfordshire. It's almost shocking to see how cheek-by-jowel the village is with the great house. Madam Springett's local patients, in such a set-up, would have found it an easy walk to the doctor. Experiences in the life of Mary Pennington (written by herself) with preface by Gil Skidmore, Friends Historical Society. "A woman without paint is like food without salt." You might think that quote is taken from a particularly literary edition of Femail magazine's never-ending 'name and shame celebrities caught without make-up' feature but it was actually coined by the Roman philosopher Plautus around 254 BC. I offer it as an illustration of both our ongoing fascination with cosmetics (now a $170 billion a year global business) and the attitudes and social connotations that affect its wearing. Although they did not match the colourful heights of the Egyptians whose practices they copied, the Roman women Plautus associated with wore a lot of make-up. Their heavily-blackened eyebrows would not look out of place in a twenty-first century city centre, although they would have been framing faces whitened with a chalk and vinegar paste rather than apparently darkened with builders' tea. Cheeks and lips were highlighted in pink or red, thick eyeliner was essential and it was common for wealthy women to employ a cosmetic artist (a cosmatae) a la the Kardashians. Not only was make-up heavily used (pun intended), in both ancient Rome and ancient Greece, sporting a visibly painted face appears to have been acceptable across the social ranks. 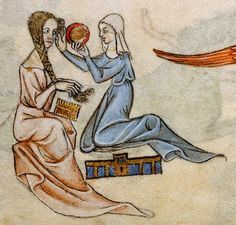 For medieval British women, however, whose lives were increasingly governed by the complex and judgemental rules of the Church, the picture was far more complex. Whatever the current debate gracing the pages of the Huffington Post about the politics of wearing/not wearing cosmetics, it is a truth surely universally acknowleged that wearers use them to look healthier/more rested/more 'attractive'. I have yet to meet anyone who puts their slap on to look worse. It is no surprise, therefore, that the male clerics of the medieval church would instantly equate paint and powder with harlotry: if a woman is temptation enough, goodness knows what madness an enhanced woman could unleash. Based on this logic, cosmetics were banned for quite some time outside brothels. Ordinary women, however, continued to use make-up as is clear from the statuary, paintings and writings of the time. 'Ladies red powder' (made from dried and ground safflowers or angelica leaves or brazilwood chips soaked in rosewater) is mentioned in a number of sources including a twelfth-century poem which complains that statues are going undecorated because the women have used up all the paint. Now I know my fiction revolves around rediscovering hidden women's voices but even I cannot pretend the women of medieval England were strutting round plastered in full war-paint in open revolt against the Church and just no one thought to mention it, so what was going on? The answer: very clever rule-bending. 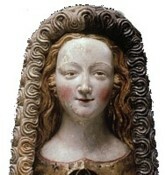 Marriage, and avoiding the sin of adultery, was key to maintaining an ordered society: if allowing a wife to make herself attractive to her husband (particularly if she had been afflicted by a disfiguring illness) maintained this, even the clerics could see they had created a problem by condemning cosmetics quite so harshly. So they began to make exceptions to the rules, and women began to bend them: the 'natural look' was born. Unlike the earlier intentionally visible cosmetic fashions, medieval faces can look surprisingly colourless - there were none of the bright pigments that characterised ancient Egyptian make-up and eye-shadow does not appear to have been worn. This look was all about hiding (both the flaws and the fact you were doing it) and enhancing, in this case not just your looks but your status. A pale face signified you did not work outside, a clear one showed you had not been marked by disease. Rather like a modern serum, skin preparation could start with a strawberry juice wash to remove redness or a wet amethyst crystal rubbed against spots, before the all-important paling (a lightening as opposed to the more extreme whitening seen in later periods) could begin. Twelfth century recipes include ground lily roots to whiten the skin but the favourite method used wheaten flour: this would be soaked in water for 15 days, then strained and crystallized to give a white powder that was mixed to a foundation-like paste using rosewater and patted on with a cloth. 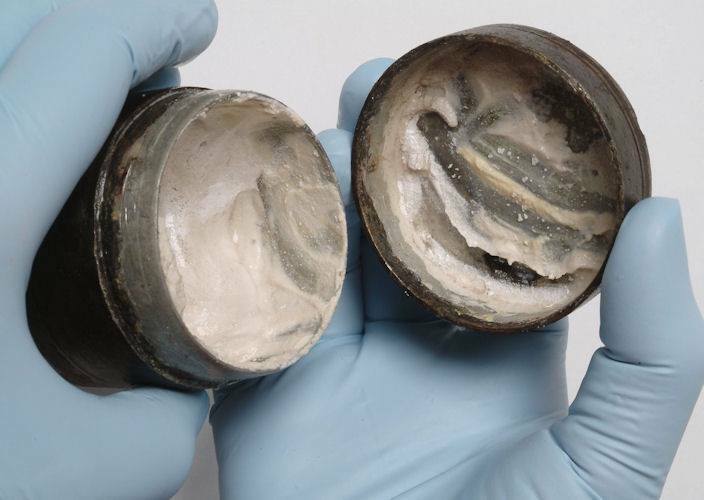 By the end of the medieval period, the whitening powder had become lead-based and highly toxic to the wearer - in the case of the renaissance Aqua Toffana it had become arsenic-based and far more dangerous to the husbands invited to kiss it but that's another story. Mouths and cheeks would be tackled next with wine or adaptations of the ubiquitous red powder added to lip balms made from beeswax or suet. Apparently a common beauty trick was also to rub a cut lemon across your lips to make them redder. Weirdly this works (I tried it) and the tingle was quite fun but it may not be the most practical thing to keep in your make-up bag! It must have been a time-consuming beauty routine. All the preparations seem to have a long drying time and all the tweezing required to maintain the high hairline and thin brows must have taken hours and goes some way to explain why some women resorted to quicklime powders to remove hair. Please do not try this one at home: the whitening effect is created by revealing bone. Perhaps there was a subversive element to some of the painting and powdering, I hope there was and at least one of my medieval characters will be wielding her face-brush with as much defiance as her sword. What I love, however, is the one thing that really hasn't changed over the centuries: achieving the 'natural look' still takes forever. As the playwrite Tracy Letts put it so neatly in August: Osage County: "The only woman who was pretty enough to go without make-up was Elizabeth Taylor, and she wore a ton." In a fit of post-Brexit, 'let's try and do something useful' at the end of last month, my husband and I repainted the living room. It was at least distracting. It also involved moving round great piles of books which lead to all sorts of rediscoveries. We live in a small flat which means book space is at a premium, so I felt slightly guilty when I rediscovered this. Not that you can tell from the picture, but it's a big beast of a coffee table book, heavily illustrated, thick glossy pages - you know the sort of thing. I was trying to be brutal and set aside as many books as possible for the charity shop, but I couldn't bear to part with it. 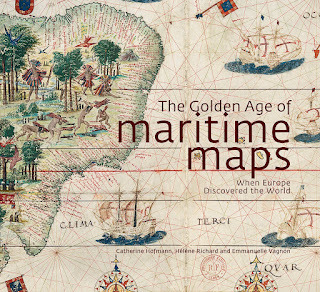 It has no real research value, I've read it, I wouldn't use it in teaching and it wasn't written by a friend so it should have gone, but there is just something particularly inspiring about maps. There are all sorts of maps in our house. I have an old print of the county map of Durham above my desk, just in case I suddenly forget where I am from. I have notebooks printed with early 20th century maps on the cover to scribble in, we have two atlases in the living room (one historical, one just geographical), and then I have the ones I've used for my research. 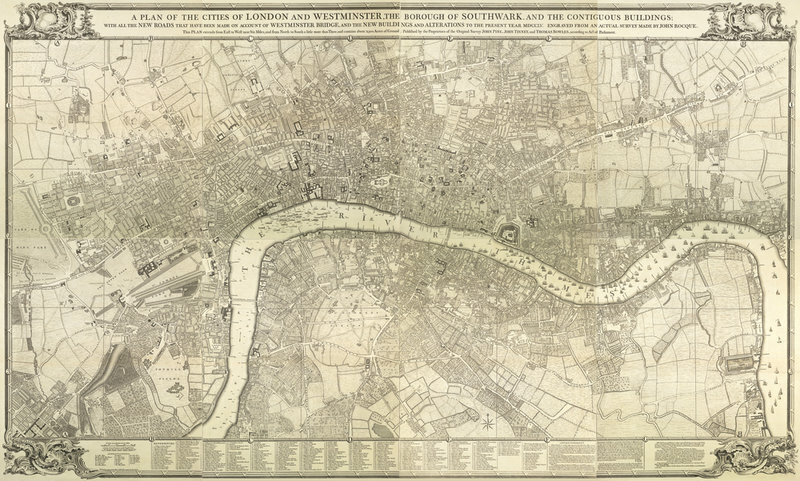 I must have spent hours hunched over Rocque's 1745 map of London writing the Crowther & Westerman series. Then I have a folder filled with plans of Paris showing the expanding waters of the 1910 floods, and Edwardian tourist maps of the city showing approved restaurants and hotels. There are hundreds more filed away in the computer, some with character routes drawn on, or set in folders with photographs or drawings that show particular buildings or corners. 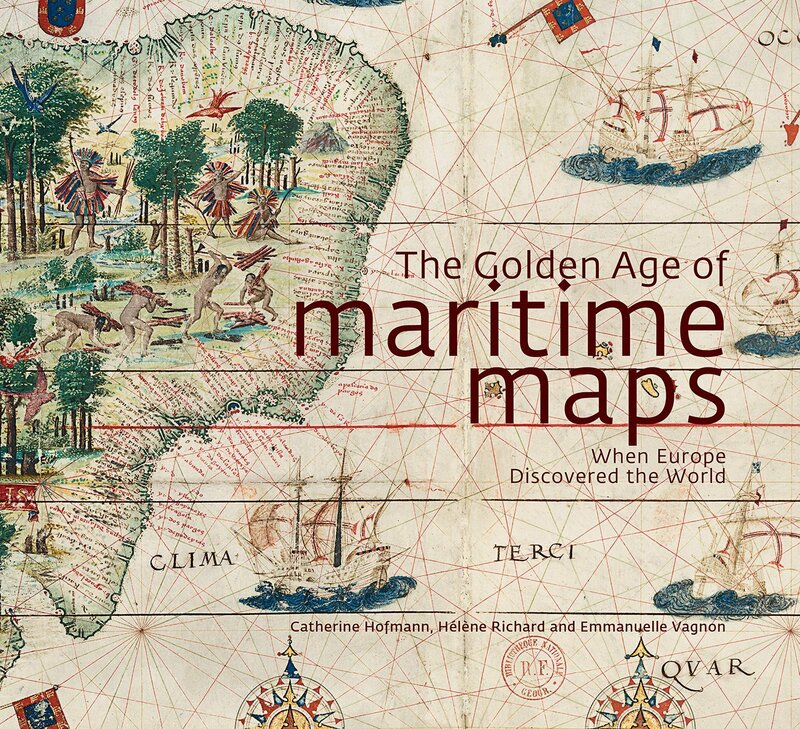 The Maritime Maps, like the atlas are in the inspiration category, nothing stimulates the imagination more, I think, than reading unfamiliar place names and travelling across the oceans with your fingertips. The research materials I found vital to give me a real sense of knowing a place. They organised my materials, stimulated my memory when I had managed to get to the places concerned for the research, and, I hope gave me the confidence and authority to convince readers that I knew these places, and could navigate them like a native of the time and place. I was talking to a friend who has just begun to write their first novel last week. They sent me an opening scene, and though the writing was pretty good, there was something a bit fuzzy about it and the village they were describing. 'Have you drawn a map?' I asked. The answer was something like 'I want to be a writer not a cartographer', but I realised almost as I was speaking how important that putative map was. To write convincingly you need to know the world of your characters, you need to know their place in the world, in their community and that's true even if that community is entirely fictional. To draw a map of the village in question, my writer friend needed to make all sorts of decisions or discoveries about how the place and people were organised. 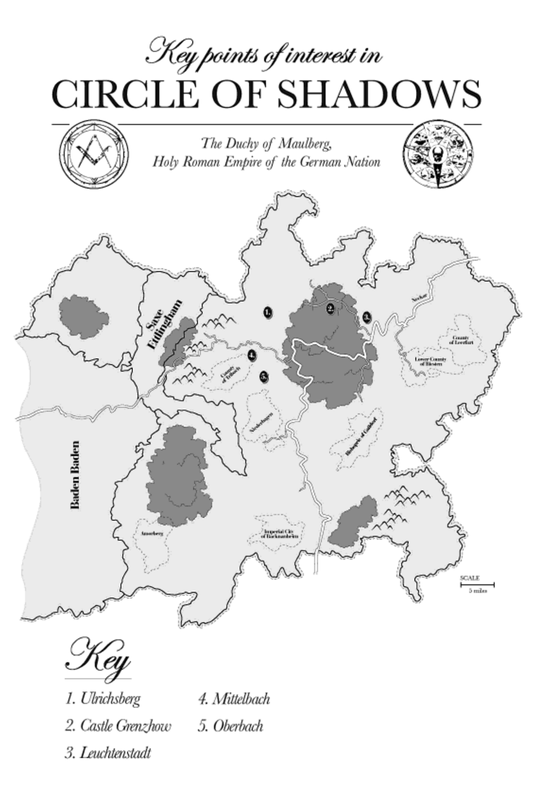 Was the church in the middle of the village, or on the outskirts for the convenience of the local lord? Where were the good houses and the bad, the pub and the market place. Was it surrounded by woods or arable land? What did the characters see when they looked out of their windows? Who lives next door to your character? Is there a school? Where does the road lead to? Where do they get their water? My friend began to latch on to the idea, and I could almost hear the village appearing in their mind as they spoke about where things might be. They began placing scenes and characters within it, and I realised they were doing imaginatively what I often do with my research, feeling out the edges and opportunities of their fictional world and inhabiting it as a writer. The next draft read like clear water. Fuzziness gone and characters real and alive. I feel less guilty about keeping the map book now. 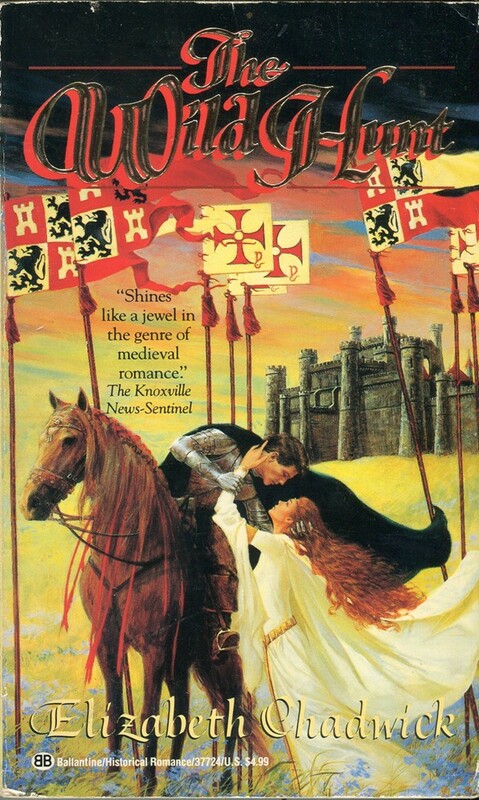 The Best Historical Novel Ever Written?